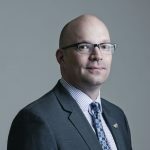 · Dr. Kristopher Wells is an Associate Professor in the Department of Child and Youth Care, Faculty of Health and Community Studies at MacEwan University. His scholarly work specializes in sexual and gender minority youth, health, education, and culture. Currently, Dr. Wells serves as the Co-Editor of the International Journal of LGBT Youth and has been engaged in many ground-breaking educational projects such NoHomophobes.com and Pride Tape. Dr. Wells’ early career work has been recognized with over 50 scholarly and community awards and recognitions including the Alberta Teachers’ Association’s Public Education Award, University of Alberta’s Alumni Horizon Award, and an Alberta Centennial Medallion.